Enjoy Free Tour Of Open Studios In Martin County For 3 Days January 19, 20, 21 And See How Artists Create! 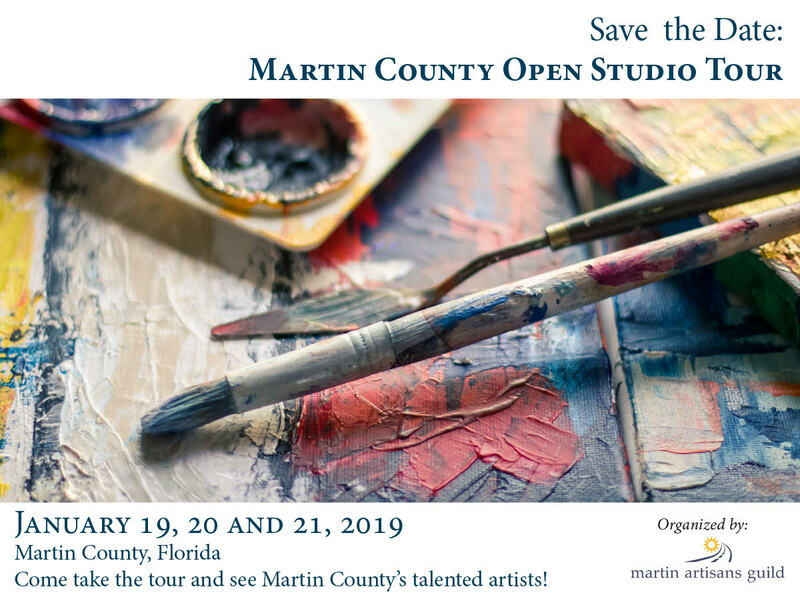 The Martin Artisans Guild presents: 3rd Annual 2019 Martin County Open Studios Tour (MCOST) on Saturday, January 19, Sunday, January 20, and Monday, January 21, 2019. A diverse group of 33 artists will participate for the expanded 3 days! This event is free to the public. Information guide booklets will be available at numerous locations as well as at each art studio and on a Free APP. 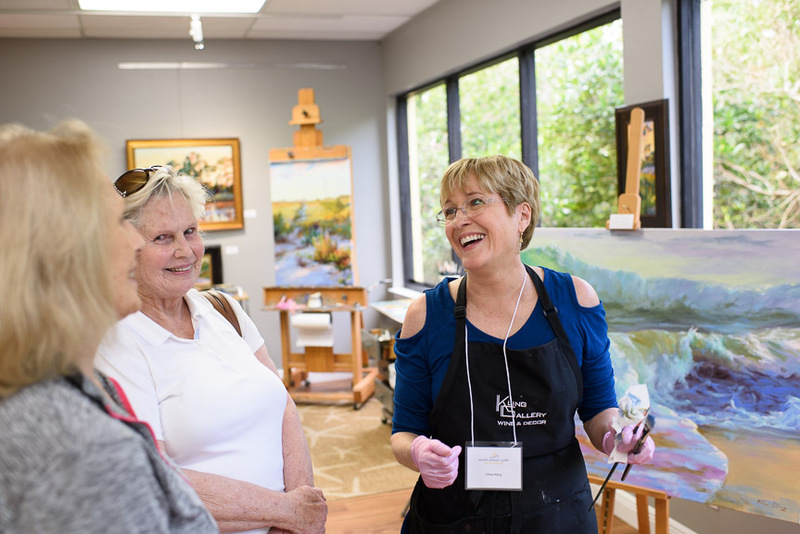 Artist’s studios are in the Jensen Beach, Stuart, Palm City and Hobe Sound. Tour participants will be able to see actual working studios where original artwork is produced and interact with the artists. Original artwork will be available for purchase. The Rickie Report shares the details and some peeks at last year’s event. Get the Free APP now! 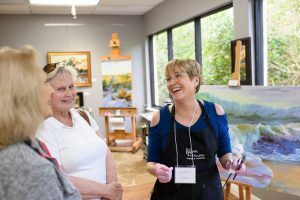 The Art Studio Tour features local artists working in a wide range of mediums: painting, drawing, sculpture, glass, ceramics, jewelry, mixed media and textiles. Artist’s studios are in the Jensen Beach, Stuart, Palm City and Hobe Sound areas. Tour participants will be able to see actual working studios where original artwork is produced and interact with the artists. Original artwork will be available for purchase. The first studio tour in 2017 was well attended and highly successful for all involved. 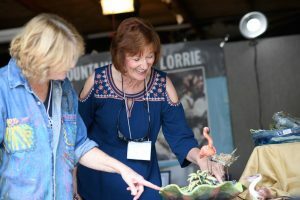 The Martin County Open Studio Tour has become a traditional event every January in Martin County. This event is free to the public and information guide booklets will be available at numerous locations as well as at each art studio. 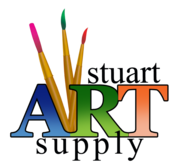 A free downloadable APP called “Martin County Open Studio Tour” is also available with artists and location information. Participation provides a wonderful opportunity for the community to experience the process of making art. More information is available on the following media sites: MCOST.org., Facebook, and the free phone APP. 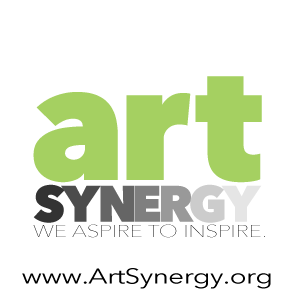 Martin Artisans Guild’s 3rd Annual Martin County Open Studio Tours Bring You To The Artists On January 19, 20, 21. Free Map and App Are Available. Support Local Artists! See Where Creativity Soars! The Martin Artisans Guild presents: 3rd Annual 2019 Martin County Open Studios Tour (MCOST) on Saturday, January 19, Sunday, January 20, and Monday, January 21, 2019. A diverse group of 33 artists will participate for the expanded 3 days! This event is free to the public. 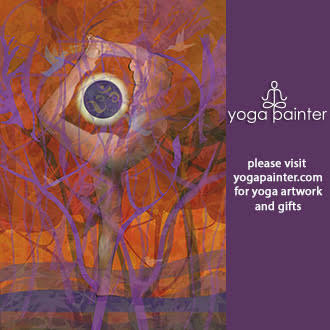 Information guide booklets will be available at numerous locations as well as at each art studio and on a Free APP. 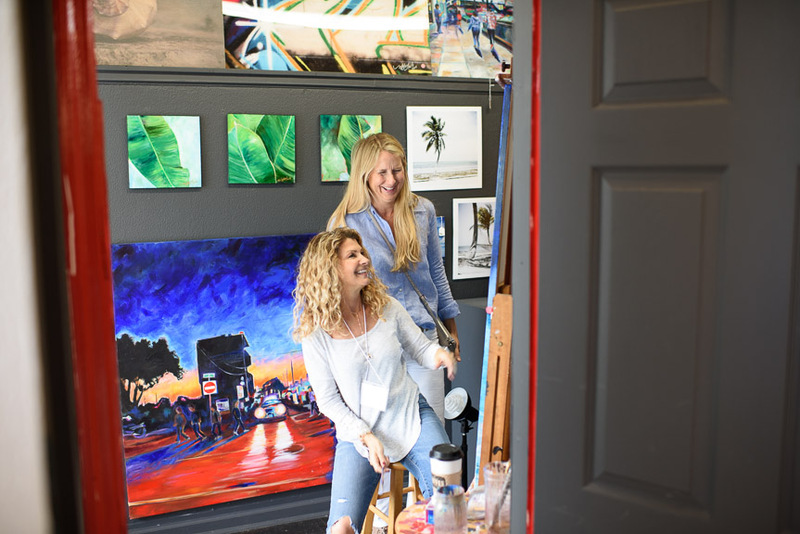 Artist’s studios are in the Jensen Beach, Stuart, Palm City and Hobe Sound. Tour participants will be able to see actual working studios where original artwork is produced and interact with the artists. Original artwork will be available for purchase. The Rickie Report shares the details and some peeks at last year’s event. 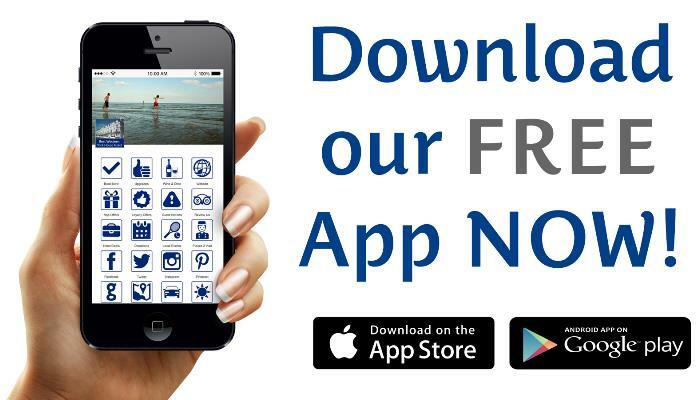 Get the Free APP now! Stop by Geoffrey Smith Gallery for the Preview beginning January 10th! 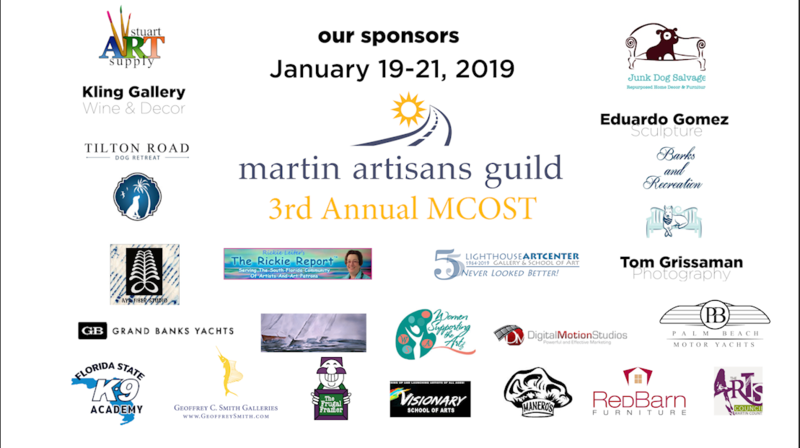 The Martin Artisans Guild presents the 2019 Martin County Open Studios Tour (MCOST) on Saturday, January 19, Sunday, January 20, and Monday, January 21, 2019. 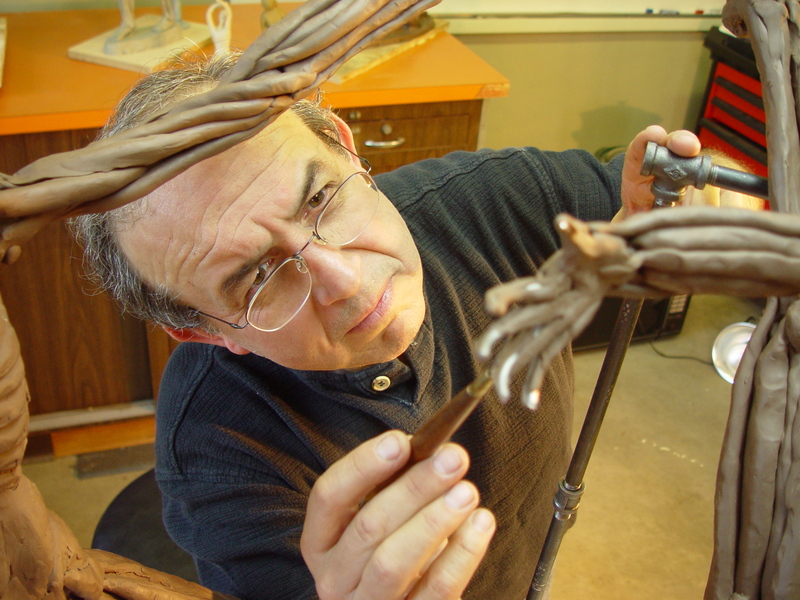 A diverse group of 33 artists will participate in this 3rd Annual MCOST, which has expanded to 3 days! 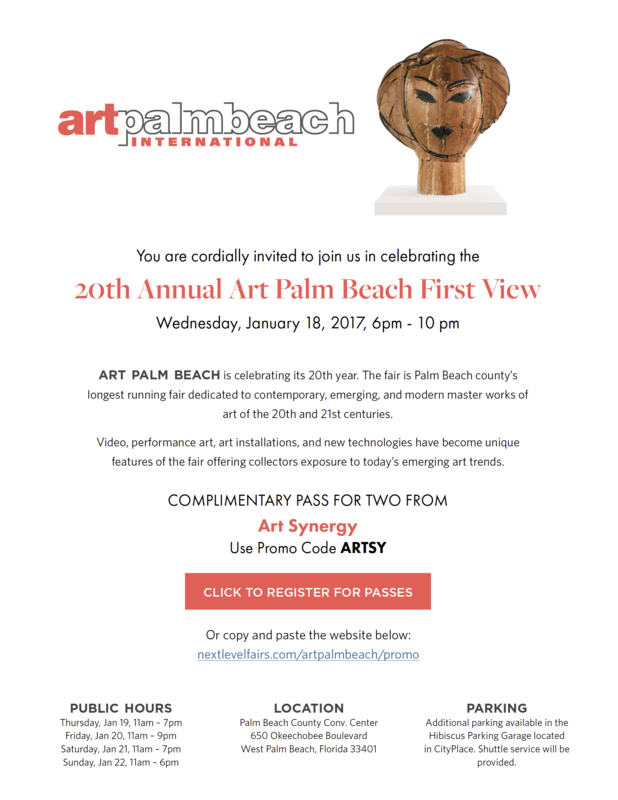 This event is free to the public and information guide booklets will be available at numerous locations as well as at each art studio. Artist’s studios are in the Jensen Beach, Stuart, Palm City and Hobe Sound areas. Tour participants will be able to see actual working studios where original artwork is produced and interact with the artists. Original artwork will be available for purchase. The Rickie Report shares the details and some peeks at last year’s event. Mark your calendars now!